Capturing Owens’ race to four gold medals, the forty minute movie Return to Berlin will captivate visitors of all ages. The museum’s mini-theater offers visitors an opportunity to watch highlights of the 1936 Olympics narrated by Jesse Owens. Bud Greenspan produced the film in 1966. He took Owens back to the Berlin Olympic stadium to narrate his experiences in the games. 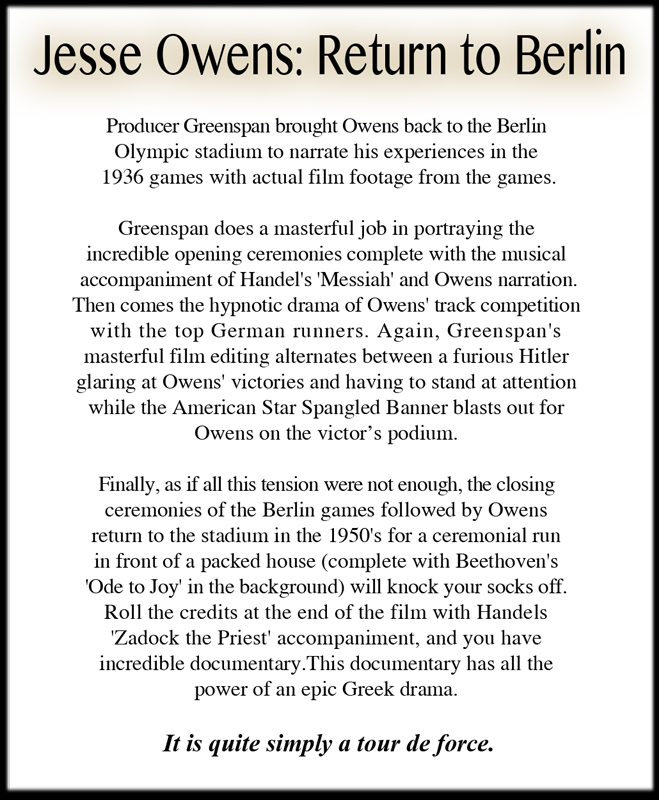 The documentary includes film footage from the games and Owens’ trip to the Berlin in the 1950’s for a ceremonial run in front of a packed stadium. Also, visitors can follow the larger-than-life panel displays throughout the museum that depict Owens’ life beginning in Oakville, Alabama to his death in 1980. The panel displays highlight Owens’ athletic accomplishments as well as his humanitarian efforts. For those interested in learning more about the life of Jesse Owens, the museum offers The Decatur Daily Resource Center. Equipped with computers and printers, the center allows visitors to do their own research of Owens. 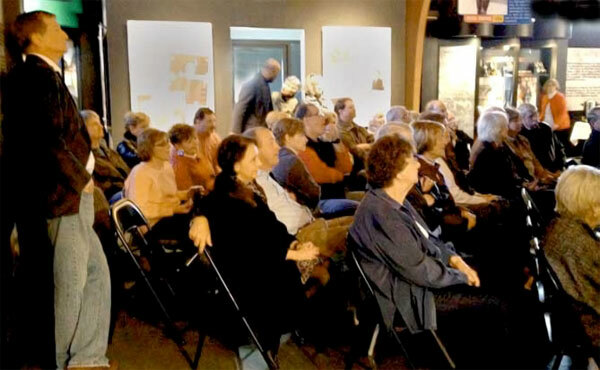 James Pinion (standing) with a group of visitors at the Jesse Owens Museum, watching Return to Berlin, produced by Bud Greenspan in 1966. The mini-theatre is located inside the museum.